Join Sarah Bertsch of Optimal Animals LLC, to learn about acupressure to support your dogs joint, arthritis, and tendons. This 10:30am session continues her 4-part Senior Series. 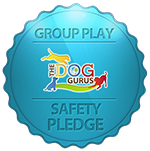 Participants are encouraged to bring their well mannered leashed dogs for hands-on practice.